SHADOW CONSPIRACY copper tye die components are back in stock now! 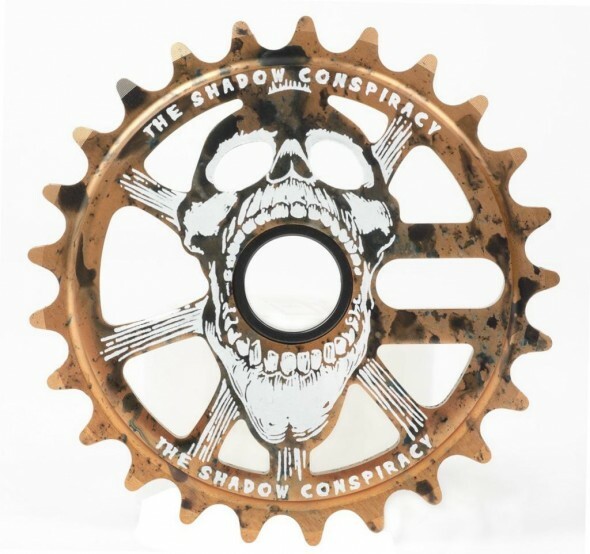 Shadow Conspiracy copper tye die components are back in stock now! Shadow Conspiracy Scream sprocket shown. Click HERE to view all of the Shadow copper tye die parts we have in stock! Almost everything Shadow makes comes in this super cool custom color. Each component that comes in this color is unique due to the anodizing process. The last batch of components sold out quickly, so don’t get caught slippin’ this time around! Sprockets, stems, brakes, seat clamps, hubs, rims, complete wheels, seat posts, headsets and headset caps are all available now in this amazing color! « EXCLUSIVE The Shadow Conspiracy x MASTER BLASTER PLANET GID BAR ENDS – LIMITED EDITION 50 sets – Available now!